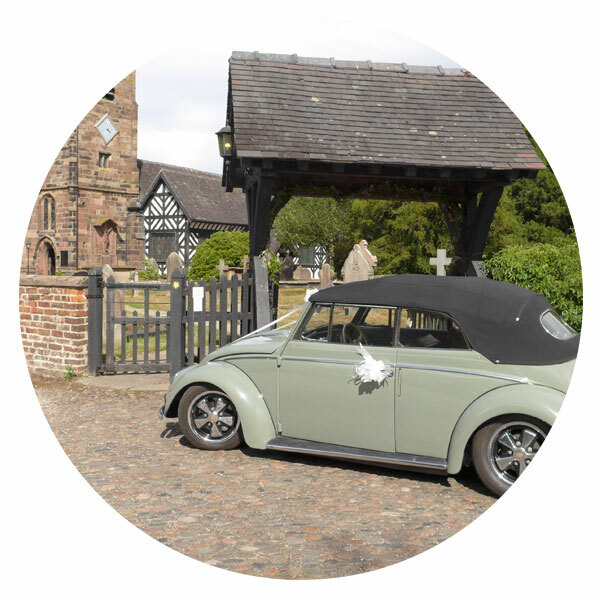 Go Vintage are a family run VW wedding car hire company based in South Cheshire. 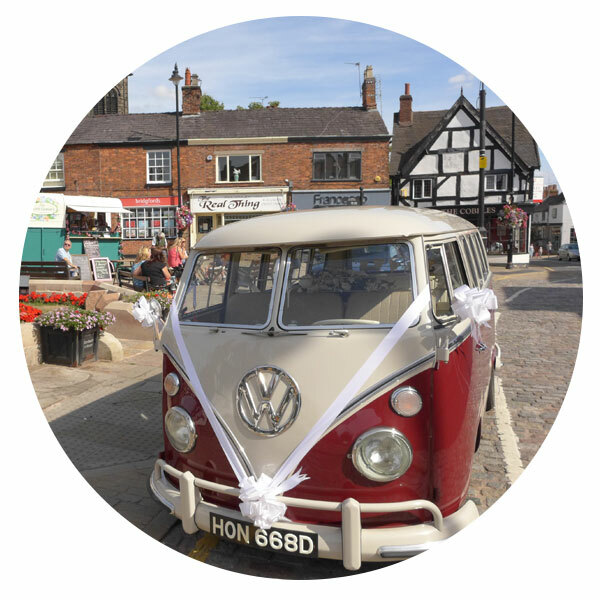 Our vintage VW wedding cars are all award winners coming ‘best in show’ at various events around Cheshire and the UK – when you book with ‘Go Vintage’ you are hiring the very best in rare classics and you’re in for a treat! 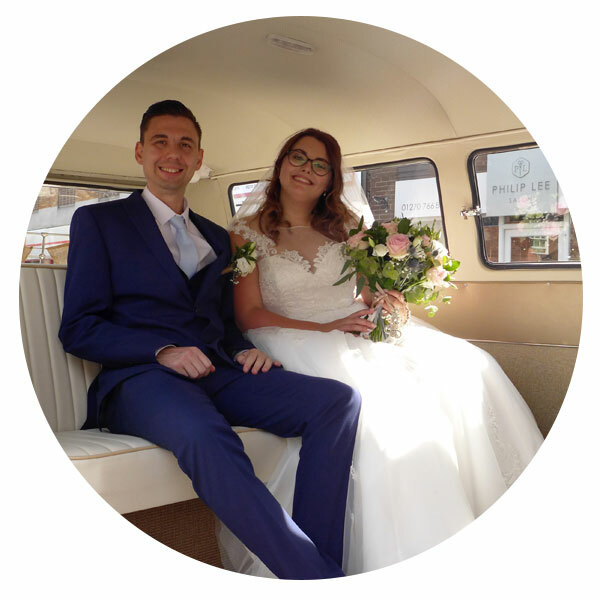 We decided that wedding and event hire would be the ideal opportunity not only to showcase our gorgeous cars but because they provide a great and unique experience adding real value to any wedding or event. 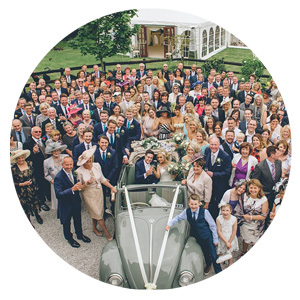 The condition and colours of the vehicles ensure fabulous photo opportunities and they really draw a crowd wherever they go. 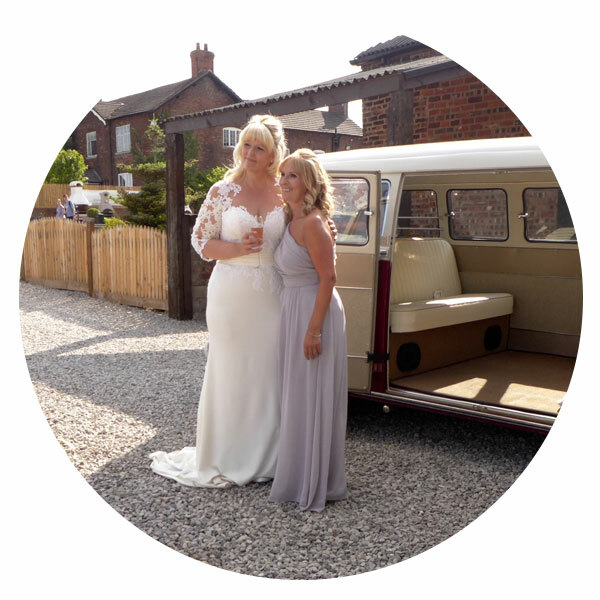 We love helping brides, grooms and party-goers travel in luxury anywhere across Crewe, Nantwich, Sandbach, Chester, Macclesfield, Warrington and the whole of Cheshire. 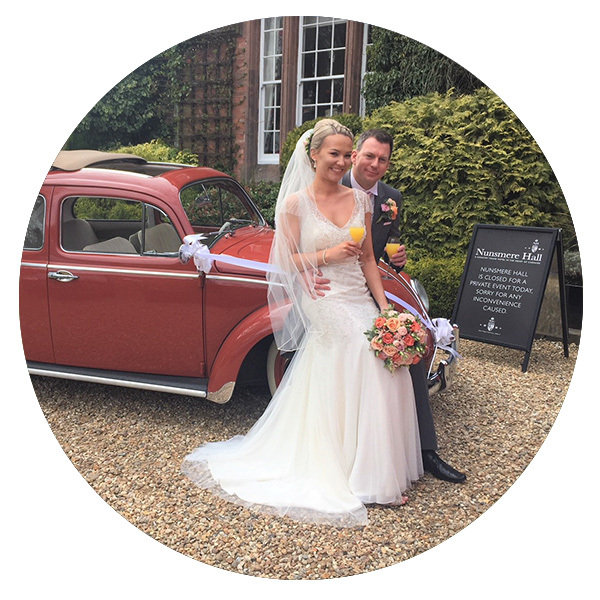 The vibrant colours make for great photographs and in particular compliment any “Vintage” event. 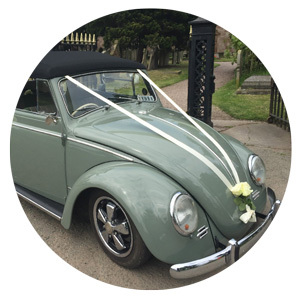 The quote we hear the most is “your cars just make me smile”. 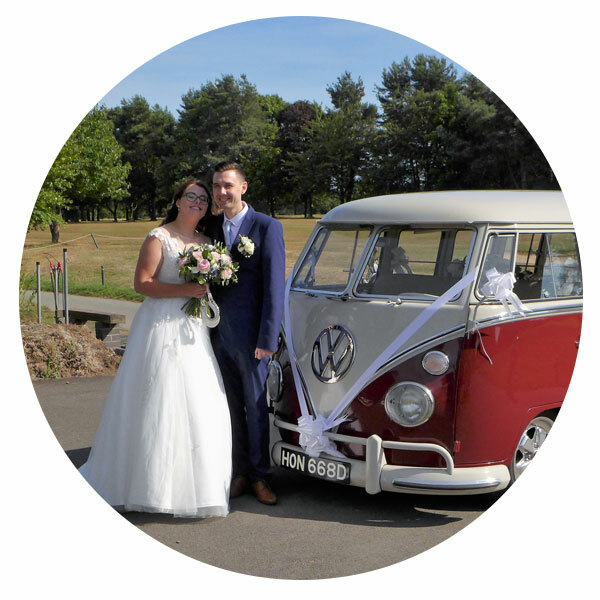 Travelling in our vintage VW Campervan and vintage VW Beetle is a unique experience – you will love it! 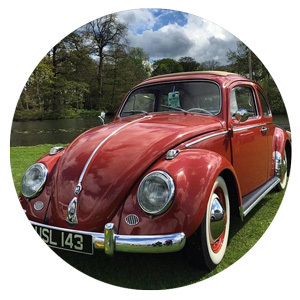 Our award winning, VW beauties retain their original character and charm making sure they’re the very best, rare classics available. 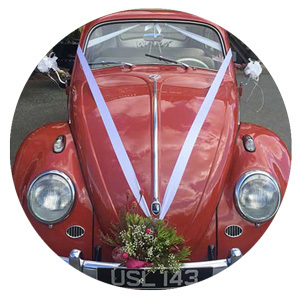 Karman is our show winning 1957 Convertible Beetle ‘low cal’ with lovely blingy Porsche wheels and she’s in mint condition. She is a very rare right hand car built for the UK market and is one of only 13 cars of this type left world-wide. She is uber-cool and a real head turner. Indy Ragtop is left hand drive and built in Germany for the Swedish market, then imported to the UK. 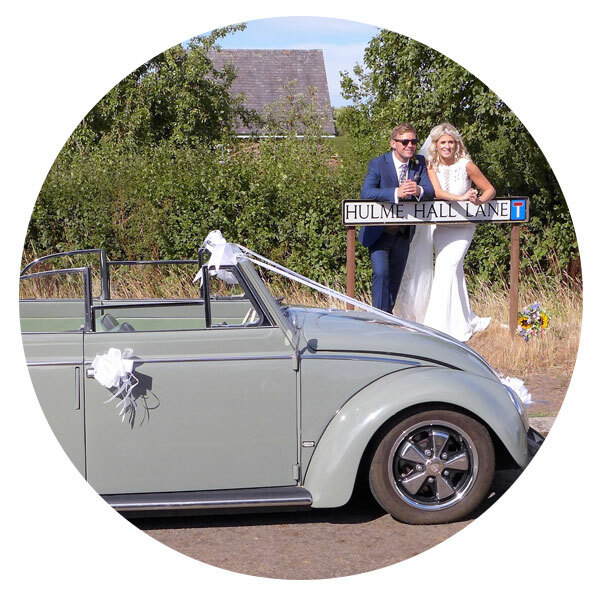 Her gorgeous rag top roof can be pulled back to let in plenty of light and is perfect for your special photos. Indy is totally original and a rare sight to be seen in the UK. She loves being out and about and looks gorgeous when she’s dressed up for that special occasion. 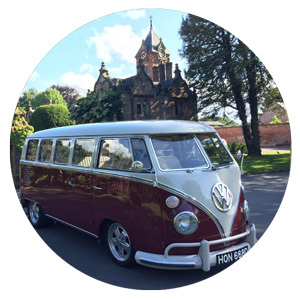 Ruby is our gorgeous VW campervan and looks stunning with her beautiful shiny body in rich colours set off with her special blingy Porsche wheels – she’s in mint condition and she loves posing for photographs. 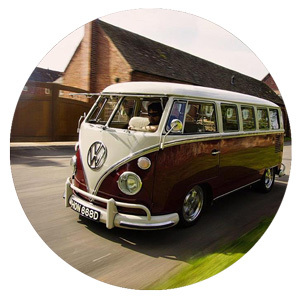 Please don’t confuse our Vintage VWs with similar vehicles you may find out there – they are top of their class. 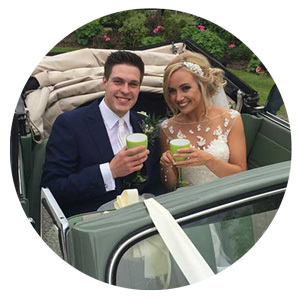 From the moment you meet your personal chauffeur who knows our cars inside out, to the ice cold champagne you can sip from the comfort of your seat, we’ll take care of you. 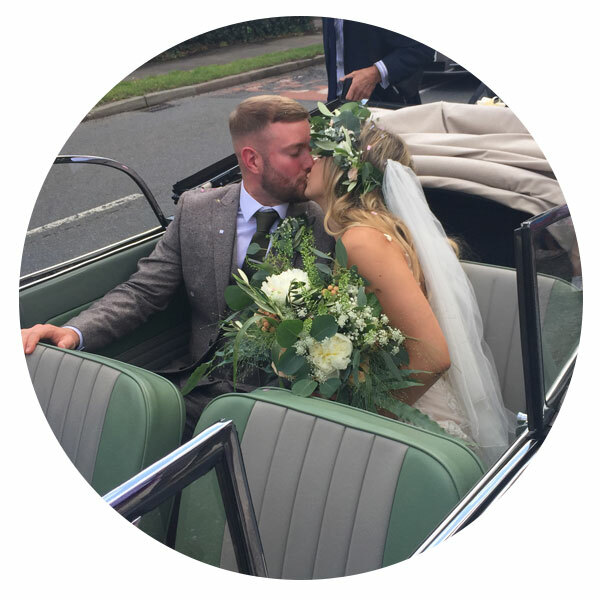 Whether you’re singing through Ruby’s split screen or waving wildly when Karmen’s top is down, we promise to deliver an outstanding, memorable experience on your special day.